Is a tennis match more important than the Eucharistic King? As we drove back to Springfield from Vandalia last evening, Bishop Paprocki mentioned to me that Wimbledon has now included a dress code for spectators in a mailing sent the club's member, saying, according to some, "No riff-raff please, we're Wimbledon." They are considered to be wearing 'acceptable dress' in just one picture, which appears alongside the words: 'The dress standard for gentlemen is lounge suit or tailored jacket, shirt, tie, trousers and dress shoes. The other photographs illustrate 'unacceptable dress'. The various sartorial sins committed include 'T-shirts, distressed jeans and trainers, bare midriffs, jeans and flip flops'. Strapless tops and shorts are banned, as are 'zipper jackets, casual or scuffed shoes, hoodies, pumps and short skirts'. Members are warned: 'The Club's dress standards in the Members' Enclosure will be strictly enforced [more]. Though one blog I found referred to the dress code as "archaic," the news agencies I read strangely made no editorial comment about the dress code. Let me say that I am neither surprised at this dress code nor disappointed in it, and it brings me ponder a rather obvious question: Why not have dress codes for the celebration of the Mass and the Sacraments? This is a question I've raised before, time and time again. And then yet again. In this country, country clubs have dress codes, as do many restaurants. Why should we not also ask people to dress decently when entering the presence of the King of heaven and earth? One's Sunday best is simply that: the best that you have, without being showy or ostentatious. If your best is honestly a pair of jeans and a polo, wear them. If you your best is a suit and tie, wear it. As I'm rather fond of saying, we should wear to church what we might also wear to bed or the beach. In contrast to the casual dress now commonly seen, people were much more formally attired at the Solemn Pontifical High Mass in the Extraordinary Form that I celebrated at the Shrine of St. Rose of Lima in Quincy last Sunday. During this celebration, I consecrated new altars, administered the sacrament of confirmation, offered the Holy Sacrifice of the Mass, and carried the Blessed Sacrament in procession in honor of the Solemnity of Corpus Christi. The ceremony took fours hours, which is usually how long it takes me to run a 26.2 mile marathon, so one could say that this was certainly a marathon liturgy! St. Rose of Lima Church just marked its 100th anniversary, and it looked splendid for this grand occasion. I commend Father Arnauld Devillers, the Priestly Fraternity of St. Peter, and all the faithful who made this such a dignified event by which we gave glory and praise to God. 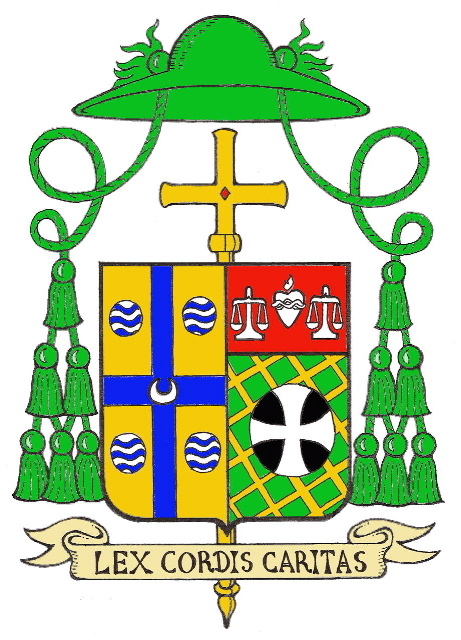 In 2007, Pope Benedict XVI wrote an Apostolic Letter called Summorum Pontificum, in which he said that it was “permissible to celebrate the Sacrifice of the Mass following the typical edition of the Roman Missal promulgated by Blessed John XXIII in 1962 and never abrogated, as an extraordinary form of the Liturgy of the Church.” Last year, Cardinal Kurt Koch, president of the Pontifical Council for Christian Unity, said that the pope hopes for the eventual development of a newly reformed liturgy, combining elements of both the traditional Latin Mass and the ordinary form of the liturgy that has commonly been used since the Second Vatican Council ended in 1965. Cardinal Koch said that Summorum Pontificum, with its call for expanded use of the traditional liturgy, is “only the beginning” of the pope’s overall scheme for liturgical reform [more]. Do people today view a tennis match at Wimbledon as more important than a meeting with their Lord and God? I certainly hope not. One the faithful at Mass this morning wore an Eeyore t-shirt that I couldn't help but notice as she came forward for Holy Communion. As a boy, I loved the Disney movie-length cartoons of the Hundred Acre Wood and from time to time I still enjoy reading The Complete Tales and Poems of Winnie the Pooh by A. A. Milne. If you haven't read them, you should; there's a great deal of wisdom contained in them. At any rate, after seeing the t-shirt the old theme song for the cartoons instantly found its way to the front of my brain. If you hear humming or singing, "...but most of all there's Winnie the Pooh. Winnie the Pooh...," now you'll know why. This past week I made a quick two-day trip to San Diego to bid farewell to one of my former students, a Marine deploys to Afghanistan this week. He and his family invited me to spend about a week with them, but my schedule only allowed a short visit that was, nonetheless, enjoyable. The church of Blessed Junipero Serra. The Basilica of San Juan Capistrano. You can view the pictures I took at the mission here. We ate at Sir Winston's, an excellent restaurant on the higher end, but we wanted to celebrate the gift of friendship and this seemed a fitting place to do so. You can view more pictures from the zoo here. After another delicious meal at the Pizzeria Arrivederci, I returned to the airport for the "red eye" flight back to St. Louis; the plane landed just before 5:00 a.m., the consequences of which I felt today. On the way to the airport, though, we found lots of traffic (when flying out of San Diego, be sure to arrive a good two hours early - at least - because the layout of the airport makes little logical sense), so, after I blessed the Marine with the blessing of Aaron so beloved of St. Franics of Assisi, I made my way back to Springfield to join Bishop Paprocki for the Mass marking the second anniversary of his installation as the Bishop of Springfield in Illinois and the beginning of the Fortnight for Freedom (more on that maybe tomorrow). Please, in the charity of your prayers, pray for John, his family, and those with whom he serves. Today "a great hymn of prayer for our country" will rise to heaven as Catholics across these United States of America pray for religious freedom in union with their Bishops. Wherefore it is fitting that you should run together in accordance with the will of your bishop, which thing also you do. For your justly renowned presbytery, worthy of God, is fitted as exactly to the bishop as the strings are to the harp. Therefore in your concord and harmonious love, Jesus Christ is sung. And man by man, become a choir, that being harmonious in love, and taking up the song of God in unison, you may with one voice sing to the Father through Jesus Christ, so that He may both hear you, and perceive by your works that you are indeed the members of His Son. It is profitable, therefore, that you should live in an unblameable unity, that thus you may always enjoy communion with God (Letter to the Ephesians, 3). 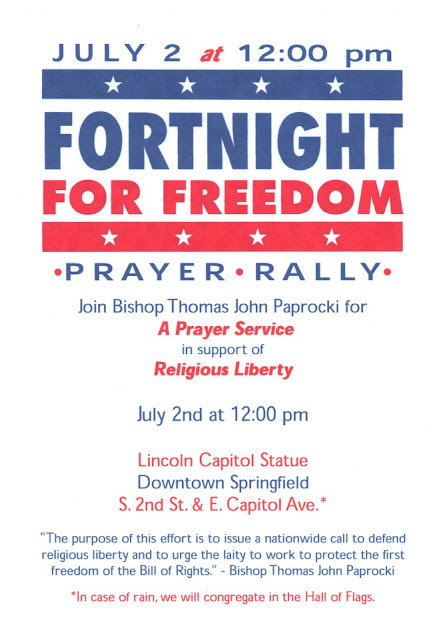 Tomorrow evening, the Most Reverend Thomas John Paprocki will celebrate Mass in the Cathedral of the Immaculate Conception, both to mark the second anniversary of his installation as the Bishop of Springfield in Illinois and to "kick-off," if you will, the Fortnight for Freedom in his Diocese. I am happy to say that he will be joined by many of his priests, some of whom will come from the far reaches of the Diocese. I hope the laity will also join him to unite their voices to this great hymn of prayer for our country. So how can I light a fire under you? Perhaps you don't care about contraception despite the church's teaching. But consider this: The 1965 contraception decision of the U.S. Supreme Court, Griswold v. Connecticut, provided the legal rationale for abortion on demand just eight years later in Roe v. Wade. If the HHS mandate is allowed to stand, I guarantee that it will not take eight years for some politicians to begin calling for the government to require Catholic hospitals to provide abortions. When that happens, Catholics will demand that bishops do something about that, but it will be too late if Catholic voters do not start to make their voices heard now. You can do so by contacting the White House at www.whitehouse.gov/contact. To those who claim the Bishops are involving themselves in partisan politics, the Bishops remind us that "the Constitution is not for Democrats or Republicans or Independents. It is for all of us, and a great nonpartisan effort should be led by our elected representatives to ensure that it remains so." Pray it each day of this Fortnight and consider also praying the Litany for Liberty with your family and friends. And certainly don't forget the Litany of St. Thomas More. I'm glad CNN is finally covering a story I covered last December. Earlier this week I joined a few priests and the Bishop to see the film For Greater Glory. I cannot recommend the film enough to you. It is excellent, powerful, and deeply thought-provoking. It's one of those films that leaves you filled with a number of emotions and left me somewhat stupefied, but in a very good way. Find it in a theatre near you and watch this movie. I promise: You won't regret it. We enjoyed the film so much that we encouraged other priests to see and they, too, returned deeply moved. Reflecting on the film later in the day, one of the priests asked this question of those who saw it: Which character would you be? One said Father Vega. Another said Jose. Most said Father Cristobal. I'd like to also say Father Cristobal, but I don't know if I'm strong enough. I said I would likely be one working in the League office. Before seeing the film, The Crescat suggests that you "grab your tissues and prepare to have your faith set ablaze." I didn't need a box of tissues, but there were moments when I almost did. She always argues the "R" rating is unjustified; she's very right about this. I would have little concern allowing younger audiences to see this film. As a caution, there are images of hangings and of deaths in battle. If parents are concerned, they should see the film first; they know there children and then make a good decision. Frankly, much of the violence in the film can already be seen on television today. Writing for Catholic World Report, Jim Graves offers a good summary of the film with interesting behind-the-scenes information, calling For Greater Glory a "compelling depiction of a dark period of Mexican history." Ignatius Press will soon offer a companion book to the film, which you can pre-order (which I've done to learn more about this period). The author sat for an interview with the staff of Catholic World Report. Holy Mother Church proposes for our reflection and meditation today the mystery of the Most Holy Trinity. This central tenet of the Christian faith knows that God is one God in three Persons: Father, Son and Holy Spirit, who exists in “perfect Trinity and simple Unity.” This is a difficult reality for our minds to grasp because we are so caught up with physicality and the material world. without beginning and without end, unchangeable, invisible, indescribable, ineffable, incomprehensible, unfathomable, blessed, worthy of praise, glorious, exalted on high, sublime, most high, gentle, lovable, delectable and totally desirable above all else forever! It sometimes seems that the more we try to understand the mystery of the Trinity the more confused we become and the less we understand God. Why, then, does the Church give us this Solemnity? What are we to say of this unspeakable mystery? Firstly, this must be acknowledged: the Father is God; the Son is God; the Holy Spirit is God. Secondly, this must also be acknowledged: the Father is not the Son, nor is the Son the Father; the Father is not the Spirit, nor is the Spirit the Father; the Son is not the Spirit nor is the Spirit the Son. We see in this that the Blessed Trinity is a community of divine Persons, not three gods, but One because the three Persons are of the same substance. Because we are made in the image and likeness of God, we should be able to discern his image within us (cf. Genesis 1:26). If we truly examine ourselves, we will all readily admit that, as Pope Benedict teaches us, “in the heart of every man – a beggar for love – is a thirst for love.” What do we desire more than love itself? Do we not desire wealth and possessions and power so as not to focus on the lack of love that we feel? Each of us is, at the core our being, a beggar for love, one who searches and longs for authentic love. Too often do we seek it in the things of this world. This love that we seek can only be found in God, for “God is love, and he who remains in love remains in God and God in him” (I John 4:16). God reveals himself to us as Triune – as three in one - so that we might come to know him more deeply through love, which “is of God,” and so grow in union with him (I John 4:7). Even so, what can we say about the Most Holy Trinity? Is it possible to truly know God? It is true that we cannot fully comprehend the mystery of God; nevertheless, we must know something of him whom we are to love, to the extent that he allows. For this reason, he spoke through the burning bush that was not consumed to reveal himself to Moses (cf. Deuteronomy 4:33). If we do not know him whom we love we run the risk of loving a false notion or impression of God, a shadow of God, as it were; we run the risk of loving a god made in our own image. Far too many people today love God as they imagine him to be rather than as he truly is because they do not truly know him, they do not keep his commandments, because they do not seek his face (cf. Deuteronomy 4:40, Psalm 105:4). 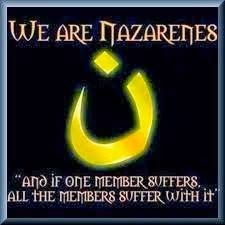 These are they who love a god who does not care what we do but simply accepts us as we are. These love a mistaken notion of God whom they say wants nothing more of us than that we be good people; that it doesn’t matter what we think, believe, wear, listen to, speak or buy. These also are they who believe God to be somehow distant and lonely, aloof from the cares of the world, the Creator of all who has since distanced himself from his creation. None of these are truly what God is like, as even a cursory reading of the Scriptures will show. God is not lonely and aloof, but is a union of three, who passionately watches over his flock and draws us to himself by placing within us the longing for his love. All of these people with false images of God place their “hope and love in a lie” for they do not yet know the source of love. Because of their laziness in delving into the infinite mystery of the Godhead they do not know God. Let us seek today to understand – and so come to know and love – God who is Three and yet One. Recall again that St. John says “God is love” (I John 4:16). Wherever there is love three things are always necessarily present: the one who loves, the one who is loved, and the love itself because of itself love requires both someone to be loved and someone to do the loving. Love cannot exist singularly and alone. As we have already seen, each of us is a “beggar for love,” one who has a deep thirst for love within us that cannot be quenched without God who is love. Here, then, we find a good analogy to help us understand, so far as we are allowed, the mystery of the Holy Trinity. 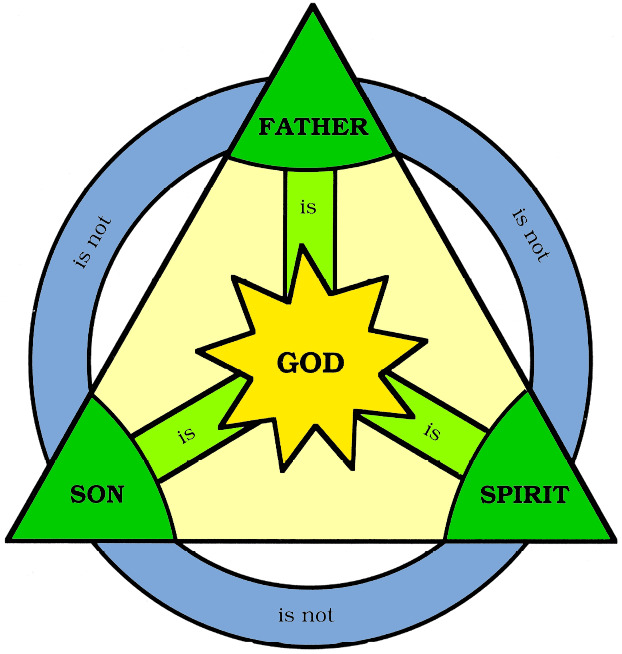 There are three divine Persons in the Trinity: the Father, and the Son, and the Holy Spirit. Using the analogy of love, the Father is the Lover, the Son is the Beloved, and the Holy Spirit is the Love shared between them. It is, as it were, as though the Father eternally gazes upon the Son and the Son gazes eternally upon the Father and their shared gaze is the Holy Spirit, their love, one for the other. Now, love of itself must be shared and communicated. If it is kept to or for itself it is not truly love, but rather a mere sentiment, a weak and fading shadow of love. The tremendous and overflowing love of God was revealed to us, communicated to us, shared with us in Jesus Christ, in God made man. So great is this unifying love of the Trinity that God chose to unite himself with man so that man might be united with God! In the waters of Baptism we are ushered into the life of the Trinity; we are given a share in God’s own life. In the outpouring of the Holy Spirit in Confirmation we are given God’s own spirit and power to follow faithfully after Christ Jesus. In the Eucharistic sacrifice we are nourished by God himself; we receive his Body and Blood, Soul and Divinity, so as to remain united to the Trinity, to share forever in this divine love. In the forgiveness of sins given in the sacrament of Penance, our unity with the Trinity, damaged by our sin, is restored by God’s merciful love. In the sacrament of marriage, husband and wife are given to the world as a mirror of the love of God. Bishops, priests and deacons, through the laying on of hands in the sacrament of Holy Orders, must make this unifying love known to the world through their preaching and the worthy administration of the sacraments. Through the healing grace of the Anointing of the Sick, we are united to the suffering Christ and, if it is good for our salvation, the love of God restores us to health. All of the sacraments foster our union with God for those who are well disposed to receive them. Such is the tremendous love of the Triune God! The Church gives us this feast today to ponder the glorious union to which God calls us. Let us, today, this very moment, gaze in wondrous love upon the mystery of the Trinity so that we might enjoy the blessed vision of God forever in heaven. Amen. Saint Francis of Assisi, A Letter to the Entire Order, 52 in The Classics of Western Spirituality: Francis and Clare: The Complete Works. Regis J. Armstrong and Ignatius C. Brady, trans. and ed. (Mahwah, New York: Paulist Press, 1982), 61. Pope Benedict XVI, Homily, 29 March 2007. Saint Augustine, On the Trinity 5.8, 320.